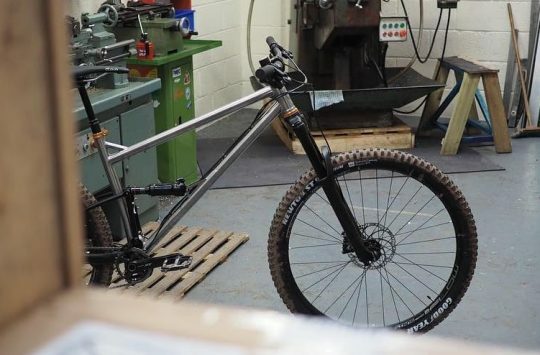 Titanium Frame + Pinion Gearbox + Belt Drive = The Ultimate Adventure Hardtail? Late last year, we received a rather special titanium hardtail. Manufactured in the Netherlands by Pilot Cycles, the Locum Pinion 27.5+ is designed as a do-it-all adventure bike that looks to be an ideal all-weather machine. 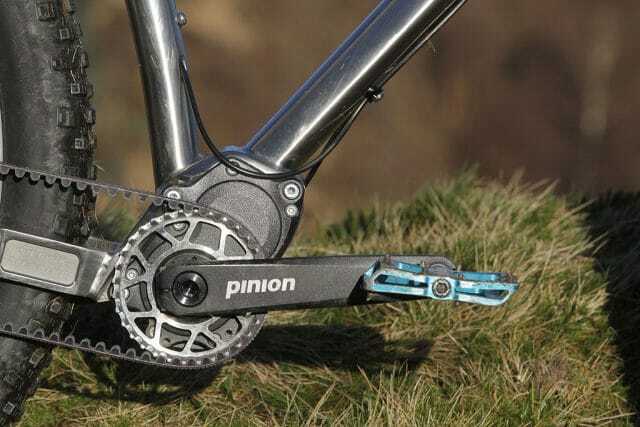 To put it through its paces and to see how that Pinion Gearbox and the Gates Carbon Belt Drive system would go, we gave the Locum Pinion to Tom Hutton, who has a penchant for long distance riding and also makes a living as a professional MTB guide. Over to Tom! 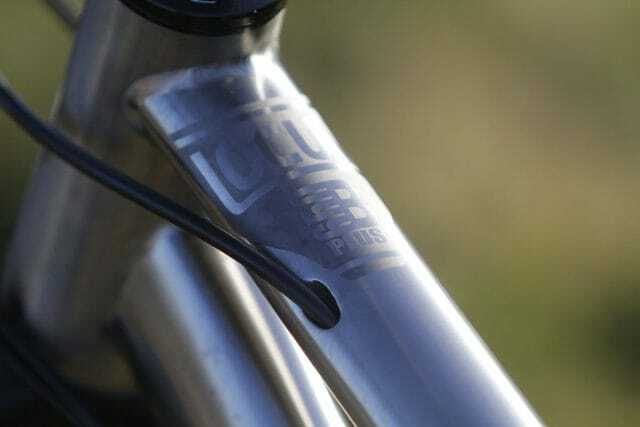 Pilot is a brand you don’t hear much of in the UK, but the Netherlands-based manufacturer is building a pretty solid reputation for itself as a specialist titanium frame builder, and now markets a broad range of tailor-made and off-the-shelf bikes, all superbly-crafted from the super-shiny wonder metal. Pilot Cycles specialises in building beautiful titanium frames in the Netherlands. The Locum Pinion is made from shapely Grade 5 & Grade 9 double butted & hydroformed titanium tubes. The Locum is a new addition to the range – a 120mm travel 27.5+ hardtail that’s aimed pretty squarely at the adventure side of trail riding. The standard build features a Shimano XT 1×11 groupset, but our test model brings low-maintenance, uber-reliable shifting to the adventure, with a Gates CDX carbon drive belt hooked up to a German-built 12-speed Pinion Gearbox. It’s the kind of setup that’s crying out for multi-day rides or bike-packing. 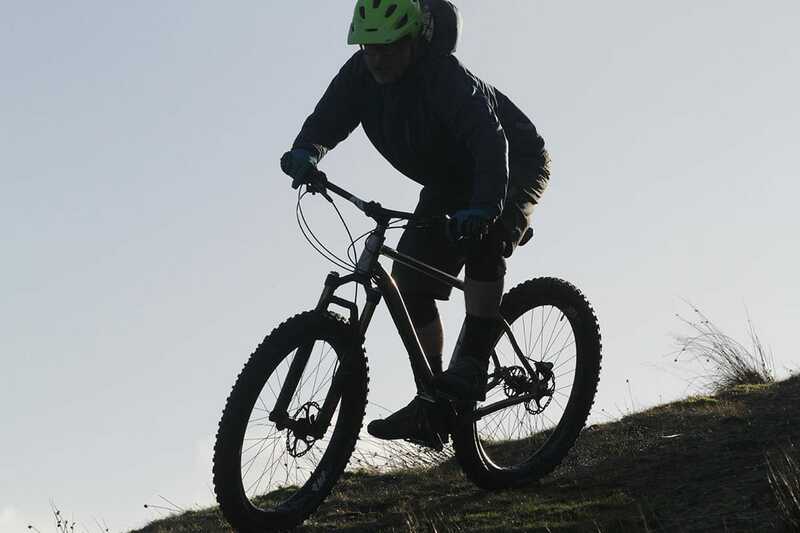 I’ve done a fair bit of both of these over the years, both on full-suspension trail bikes and on fat-bikes, but my hardtail exploits of recent years have all been on modern long, low, slack bikes meant for hell-raising rather than cruising. I was really keen to see how well the Locum could bridge the gap. Also, having grown up in the south west of England, I’m no stranger to mud, chalk, clay, farmyard grime and the odd peat bog, and the Locum looked like it might make the perfect tool for this kind of riding too, especially in winter – a family visit down south was definitely on the cards. It’s rack-ready for the adventurous. The first thing that hits you about the Locum is just what a stunning looking bit of kit this is. From a distance, the lines flow and the frame gleams. The proportions seem spot-on too. And when you get up close, there are so many things vying for your attention, it’s hard to know where to look first. The frame is the big eye-catcher. That aerospace grade hydroformed titanium just oozes quality. 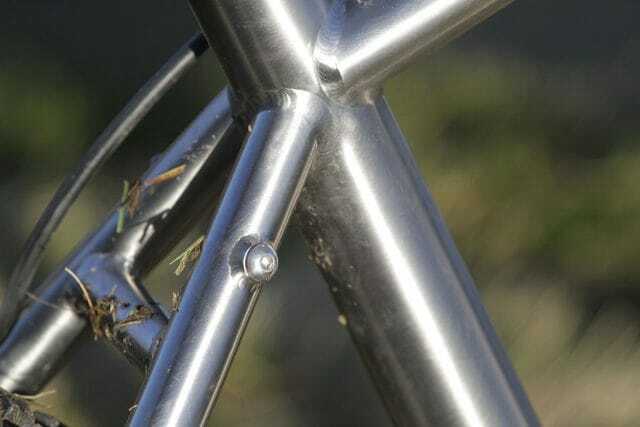 And the more you look at it, the more each intimate detail jumps out and hits you – even little things like the bottle cage and rack bosses, or the ports for internal routing. 12 evenly-stepped gears hidden inside. The belt drive completes the all-weather intentions. And then you notice the belt drive and the gearbox. 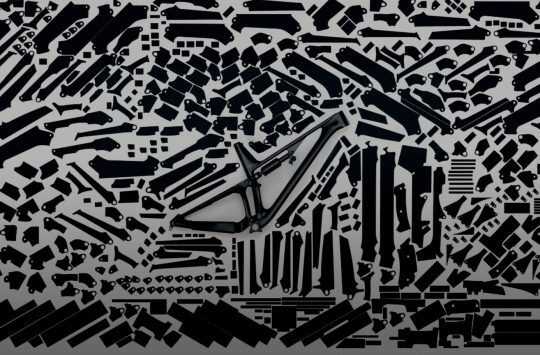 The gearbox is the heart of the bike technically, with 12 evenly-spaced ratios offering a massive 600% range. 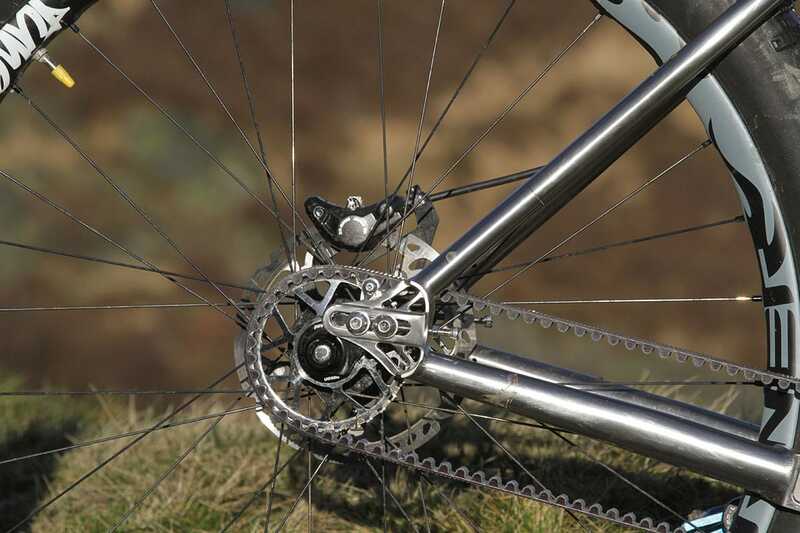 As a comparison, SRAM Eagle offers a 500% range, while a Shimano 2×11 drivetrain with a 34/24 double crankset offers a 541% range. But despite the mag alloy casing that keeps weight to an absolute minimum, this is actually the only bit of the bike that I didn’t find easy on the eye. 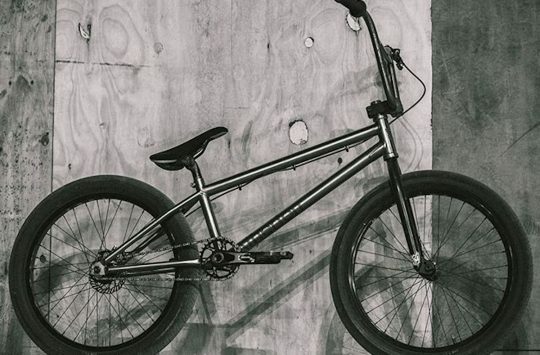 Up front, a Fox 34 Float delivers 120mm of travel and maintains those classy aesthetics as well as offering enough fine-tune possibilities to keep the average rider happy. A Fox Transfer dropper moves the seat out of the way. 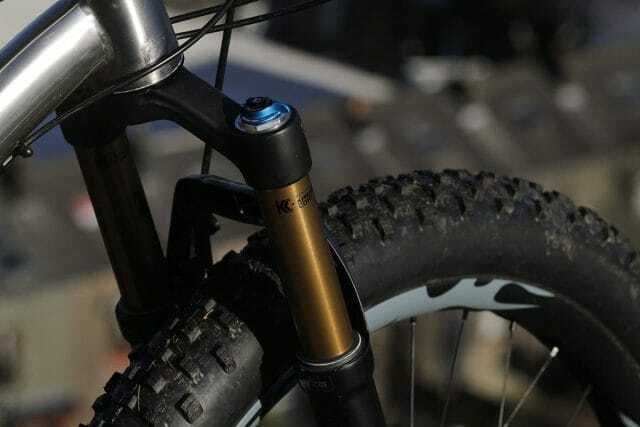 The Locum Pinion gets a tapered headtube and a 69° head angle. 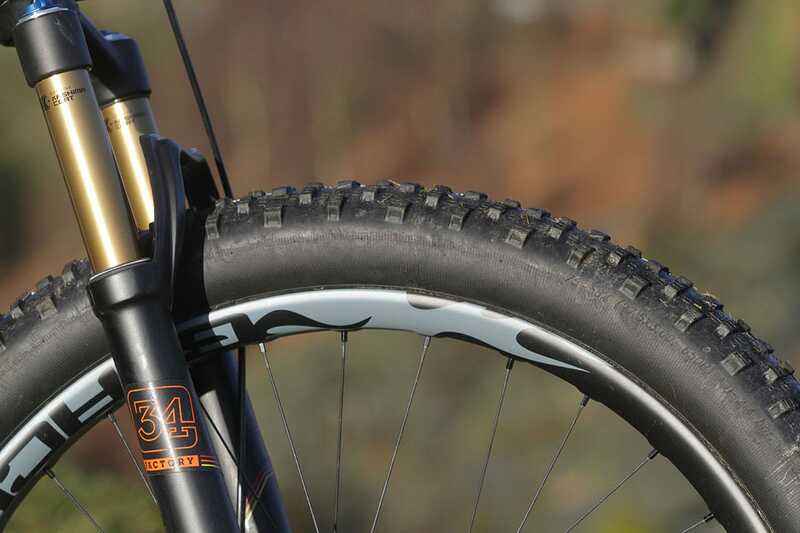 120mm of travel courtesy of a Kashima-flavoured Fox 34 Float. Geometry-wise, the Locum is definitely on the cross country side of trail with a 69° head angle, a 624mm effective top tube length (Large frame size) and a shortish wheelbase. The test rig was supplied with a stunning set of Tune Black Burner Plus carbon wheels, sporting a massive 43mm internal width. Mounted on these was a 3.0in Schwalbe Nobby Nic up front and a 3.0in Rocket Ron behind. 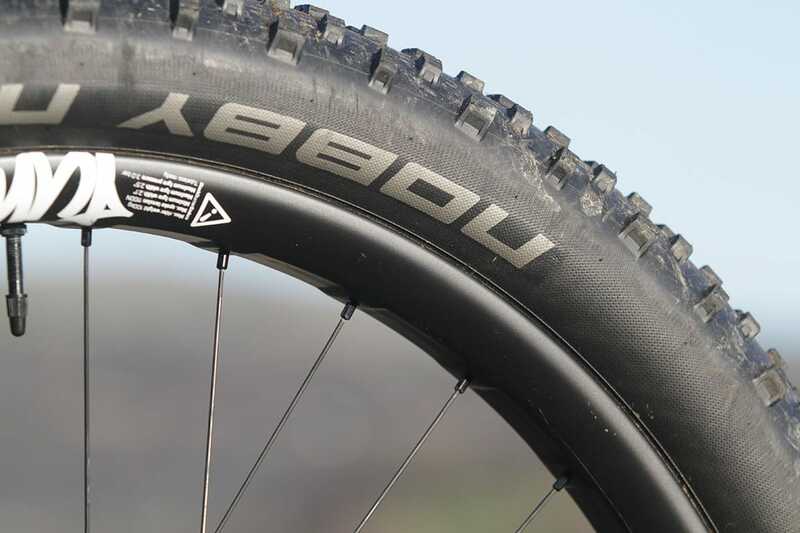 Both tubeless – essential really to safely drop to the kind of pressures these boots work best at. 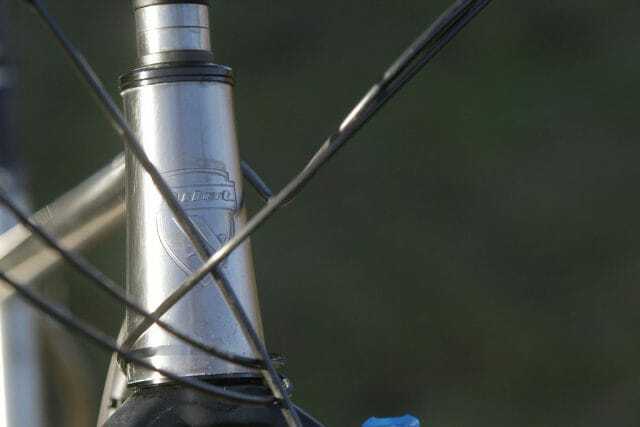 It came supplied from Pilot Cycles with an inverted 90mm stem, which definitely looked far more race than ride, and I expected to swap this around as a minimum before I went too far. Weight-wise, the titanium frame and carbon wheelset do a great job of compensating for the 2.1kg of the gearbox and the whole shooting match hits the scales at 13.5kg. The Locum was surprisingly good for threading down steep, twisty, nadgery singletrack. 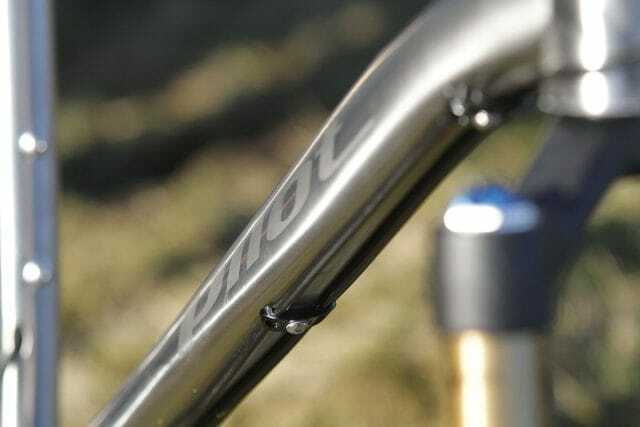 As supplied, with the inverted stem, and 740mm bars, the reach on the Large Locum felt pretty good to me, though I did feel more hunched over than I’m used to – definitely a climbing position. I set the fork sag to 25%, adjusted the dropper lever and the brake levers a little, and it was good to go. 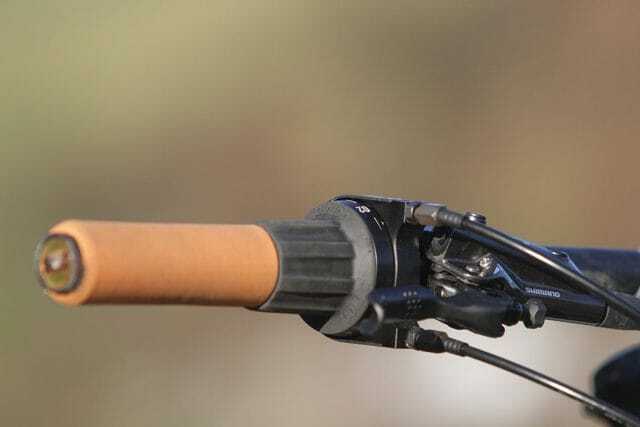 One small issue here was that now I’d swapped the brake levers from Euro, the front hose was very taught– not a huge problem at this stage, but it would be with bike-packing kit. All roads lead up from home so climbing was going to be the first part of the test. For my first run, I went straight at the toughest – around 200m in less than 3km. The opening 2km are all on tarmac and that sporty reach, long, low stem and steep head angle all felt absolutely spot-on. Shifting takes some getting used to though. The gears took some getting used to though. The Rotary (gripshift) shifter moves easily enough, but it can’t be shifted under load, so changes need to be well-timed and planned in advance on steep ground, and the even (17%) gaps between all the gears feels pretty odd at the low end where the jump between gear 1 and gear 2 is much bigger than it would be with a conventional external drivetrain. The fork is pretty steady whether locked out or left open, and it tracked a straight as a die, even on a super-steep ramp that has most trail bikes wiggling around a bit. All in all, the Locum Pinion climbed beautifully on tarmac. Once off the road, I was initially a little disappointed. My clumsy riding quickly exposed the weakness in the wide tyres, by bashing them into just about every rock and the side of every rut going – I did get better at this but still see it as a weakness of plus tyres in the kind of nadgery terrain we’re blessed with here in Snowdonia. The plus tyres aren’t so thrilled about mud. Pilot upgraded our test bike with a set of lightweight Tune Black Burner carbon rims – these are super trick! I was also struggling for traction, something that had me reaching for the digital tyre pressure gauge regularly during the test in an attempt to find that sweet spot. I think most of this was down to the Rocket Ron, which though light and fast rolling, really didn’t have enough bite for the kind of soft ground the rest of the bike excels on. I replaced it with a 3.0in Nobby Nic and things definitely improved, though it was still very sensitive to getting the right pressure. In the early stages, I ran 15psi in the rear and 13psi in the front, though by the end I’d settled on 13psi on the rear and 12psi on the front, and would possibly go even lower in a fairly rock-free environment. With 12 gears and a 600% spread, the gaps between each gear change are quite big. Another niggle I had on the steep and technical climbs, was the gearbox – that huge 17% gap meant dropping from a gear I could barely push to one that was just too low. The alternative was to try and avoid dropping that final cog, which certainly meant a workout. The big plus on this type of terrain though was the lack of a derailleur to bash into something – line choices opened up that otherwise wouldn’t and it was definitely one less thing to worry about. At slow speed, up or flat, the drive isn’t quite as direct as it is on a chain – there’s effectively a small amount of play before the gears engage. This is particularly noticeable at the low end. It’s only a small thing, but it definitely upsets balance where a quick trackstand was called for and it also messes with timing if a punchy ¾ stroke is needed to get up and over something. My legs gradually adapted to it, but it definitely detracted from the otherwise great climbing/slow speed performance. The gearbox helps to keep low and central in the Locum’s chassis. On the downs, I found it a bike of two halves really. On slow, steep, techy lines, as long as I could keep the tyres from clipping stones etc, it felt incredibly precise and predictable, and even with the cockpit set up a little cross-country, I could float my weight over the bottom bracket and ride it like a modern all-mountain/enduro bike. Those huge tyres prevented it from feeling skitty, meaning it tended to go exactly where I pointed it, no matter how loose or slick the trail was, and they softened things under hard braking too, making it a really stable ride. 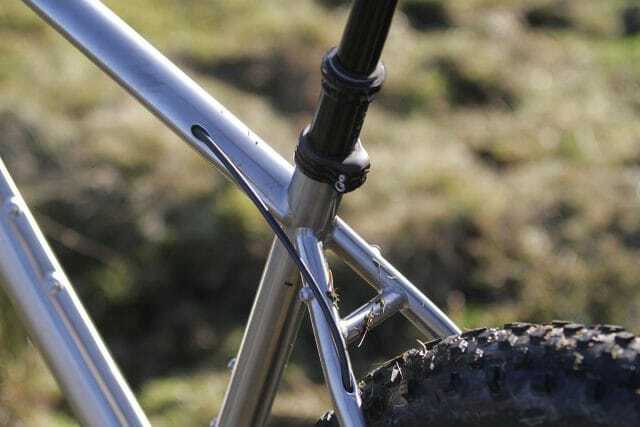 I could definitely have used more than the available 100mm on the dropper post though. After a few rides, I swapped the stem over, effectively raising the bars and bringing my torso a little more upright, and this made things even better on the steep and techie stuff. In the end it was only the saddle hitting my rear that limited how steep I was happy taking it. More travel for the dropper post please. I wasn’t so happy on very fast descents though, especially if they were rough, as they are around here. That steep head angle and shortish wheelbase made it feel a little uncontrollable at times. Again, a little more dropper post would have made this a little less scary. 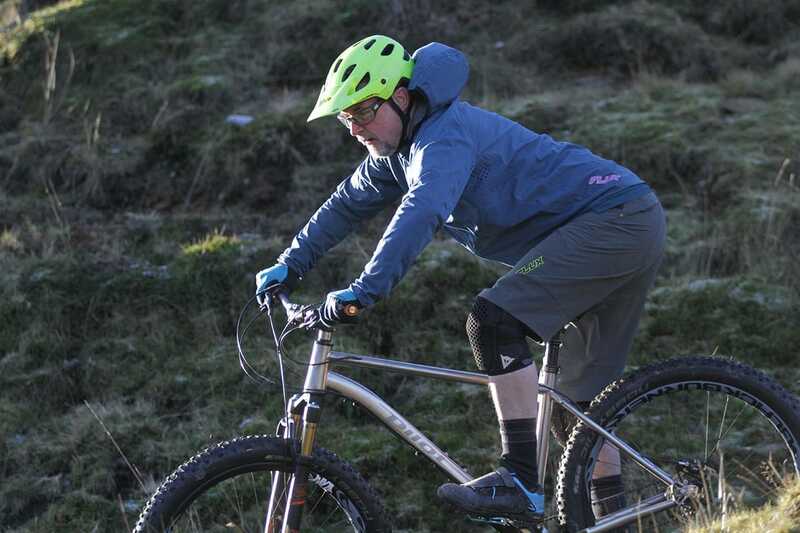 In the turns, despite a reasonably low bottom bracket, it never really felt railed – I put this down to the wide tyres and soft pressures as much as anything – perhaps a trait of 27.5+ set up for softer ground. It’s well balanced though and responsive to changes in weight. 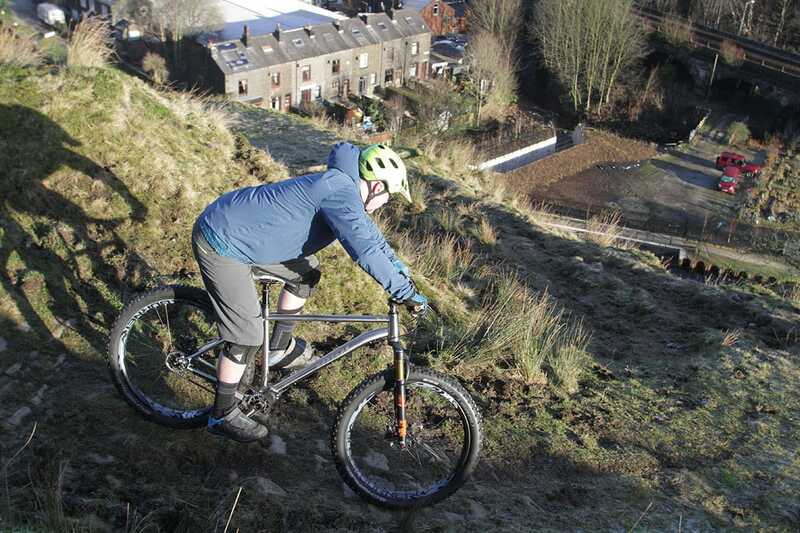 On tight bends, just like on steep terrain, it feels stable and predictable and will switch around quite quickly. Of note is that Pilot claims the Locum can also run 29in wheels if you so desire. 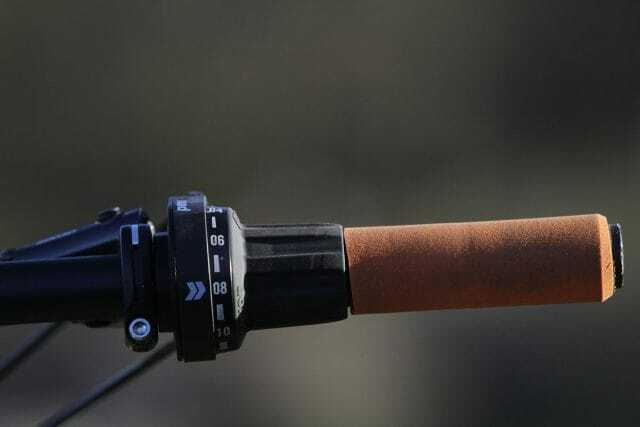 Although I didn’t have time during the test period to try out a 29er setup, I must say I’d love to try it with these. It’s a 27.5+ bike, but Pilot says you can fit 29in wheels too. I put the Locum through its paces on quite a few different terrains over the test period. Everything from steep ups and steep downs, to fire roads to super-tight singletrack, and from loose slate, to snow and ice, to soft grassy tracks and sticky mud. Overall, I wanted to test it as an all-rounder; would it be a hardtail that could do everything from trail centre to mountain to bikepacking? I’d expected the answer to be a fairly binary thing and that it would sit nearer one end of the spectrum or the other, but it’s not like that really. It does some things really well that will be good for all of those disciplines, like climbing well on stable surfaces, and descending on steep and techy lines. On the flipside, it’s not so well suited to slow-speed technical climbing or high speed rowdiness. Pilot has built a distance-loving rig in the Locum. One of the real pluses of the carbon belt drive and Pinion gearbox is the lack of maintenance, and the Locum is an absolute pleasure to finish a ride on – a quick spray and brush would have it looking immaculate – no chains to clean and lube, jockey wheels to scrape muck off etc. 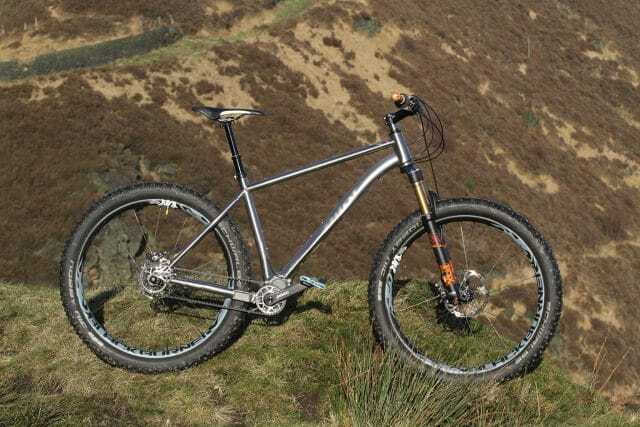 The titanium frame looked as good at the end as it did at the start, though the wheels picked up a few scratches – typical of the loose terrain around here. I tore the rear Rocket Ron – possibly just bad luck (or bad riding!) but it’s a very light tyre and certainly not what I’d run given the amount of rock and slate I ride regularly. 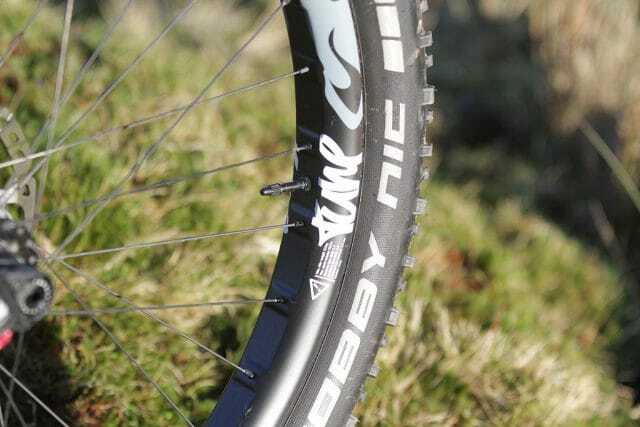 The Nobby Nic fared much better and provided more traction on soft grassy trails. It definitely felt more versatile once I’d turned the stem over and if I’d have had it any longer, I’d have tried a shorter one too. We’d fit more aggressive tyres if we were holding onto the Locum for any longer. Get the tyre pressures right though, and the Locum munches up the trail. It’s an eye-catching bit of kit that will definitely appeal to a certain type. And it will absolutely excel in environments that are tough on components and where a daily wash or other regular maintenance may not be an option. 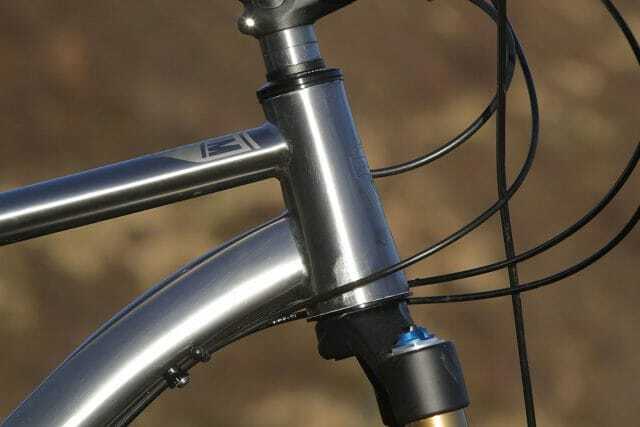 It’s definitely going to appeal to bikepackers that shy away from the drop bar fully rigid type bikes. In particular, those that enjoy more technical terrain. I’m thinking of some of the Cairngorms trips I’ve done in the past on a trail bike, where the extra traction, lower gears and predictable handling would be a real bonus. 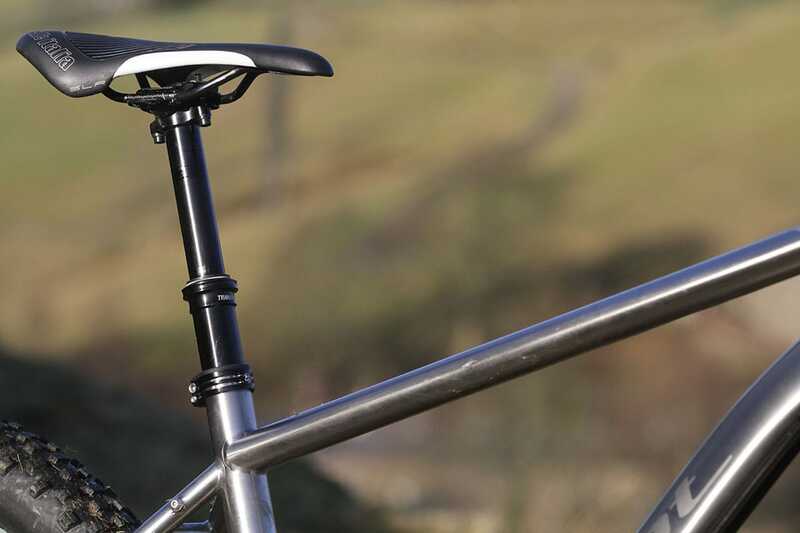 Factor in the beautifully-made titanium frame and near maintenance-free gearbox, and the Locum is a superb option. 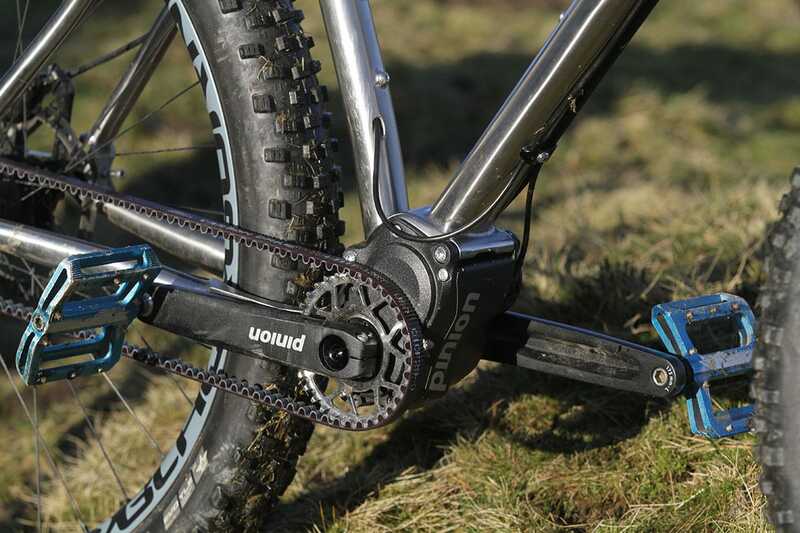 As a lightweight bikepacking rig, the Pilot Locum Pinion is superb. Hi, I have an issue about the following statement: “Manufactured in the Netherlands by Pilot Cycles” or “frame builder”. I agree the bicycle was assembled and designed in the Netherland. But sorry to say. The bicycle was produced in China and not in the Netherlands. This information should be given.